Terry Wade-Ottley is the Community Affairs Manager–Texas for Regions Bank. Her responsibilities include helping coordinate activities which increase their CRA-qualified loans, affordable housing, services, and investments throughout the state. These activities cater to low and moderate income people and low-to-moderate income census tracts. She also provides technical assistance to groups that provide housing or services for low-to-moderate income people. Terry has over 30 years in banking. She has spent 20 years of her banking career specializing in community development, economic development, and community outreach working with non-profits. Terry has advertising and public relations experience in both private business and as a volunteer for non-profits. Her skills include community leadership, team building, managing projects, staff and volunteers, internal and external communities, sales, and marketing support. 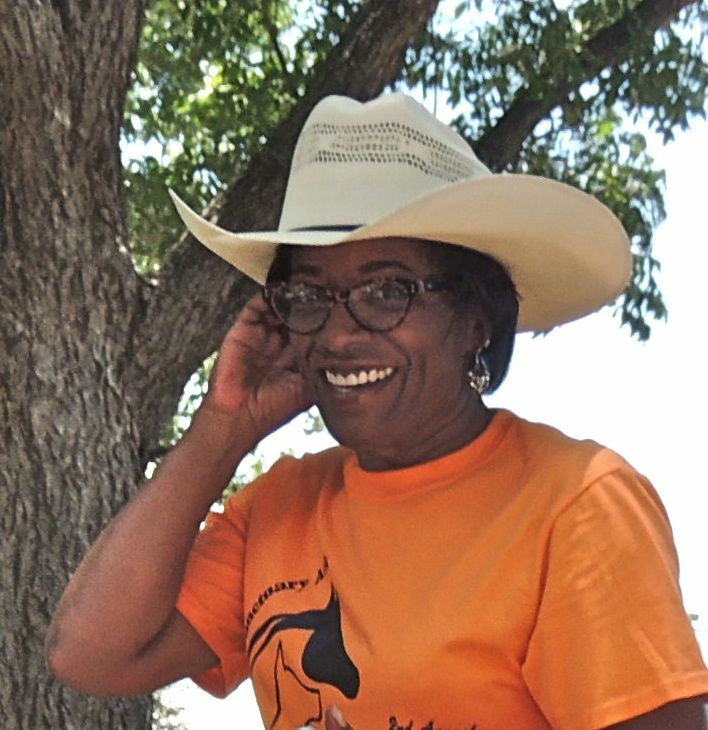 In August 2008, Terry Wade-Ottley, using her own funds, began fostering 9 horses and several cats and dogs that were neglected. This was the foundation of Gabby’s Sanctuary ARK (Acts of Real Kindness) (GSA). It had been a dream of Terry’s since she was seven years old. Animals were always very healing and nurturing to her. The special love of animals and children drove her to establish GSA. GSA was a perfect way of putting all her talents, love, and passions into one. The opportunity came when 2 horses, Billie Jean and Sydney, needed her full time. The organization has blossomed over the years with over 25 horses and several cats and dogs being saved.